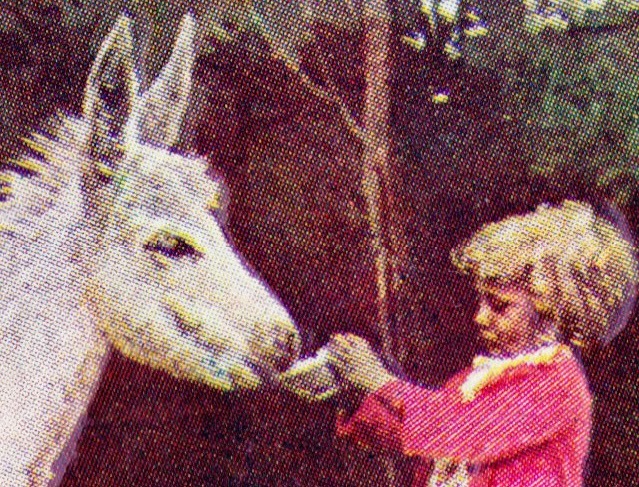 This white donkey looks very similar to the one featured in the previous post, don't you think? Budd & I are traveling to Los Angeles just passing through Mexico. Both well. Kind regards to Papa & Aunt. Kiss Grandma & Grandpapa for me. Cousin Maggie! 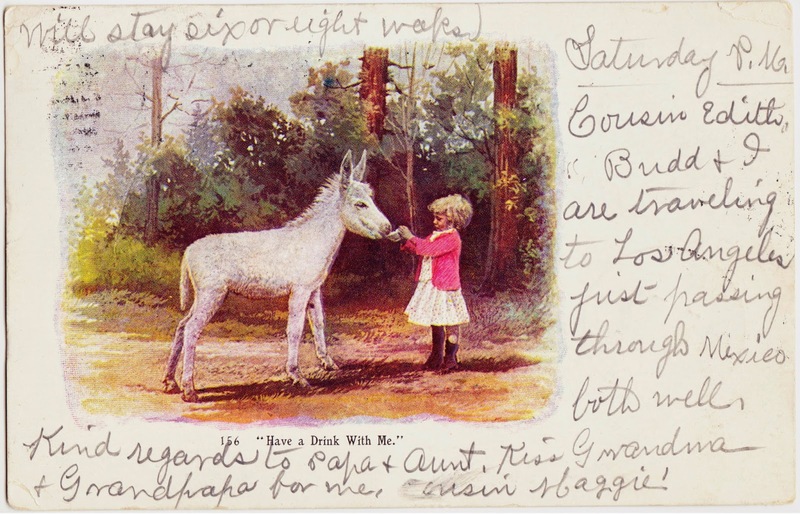 Written across the top of the postcard is "will stay six or eight weeks." 1913 (September): Mr. and Mrs. J. L. Hain of Marysville entertained young folks at their home in Front Street in honor of their daughter Hazel's sixteenth birthday. The evening was pleasantly passed in playing games. Refreshments were served to the following guests: Miss Edith Nevin, Miss Esther White, Miss Mary Corl, Miss Louise Corl, Miss Marguerite Glass, Miss Margaret Ellenberger, Miss Mary Deckard, Miss Leona Bare, Miss Helen Hain, Miss Hazel Hain, Cassius Kennedy, James Roberts, Linn Lightner, Charles Michener and Harry Deckard. 1918 (September): "Miss Edith Nevin, who is employed as a government stenographer at Washington, is spending a vacation with her father, James Nevin." 1927 (March): A reference to an Edith Nevin Booth purchasing property from James A. Nevin.